Welcome to our first "kit" blog hop! This blog hop is designed to give you ideas to make "kits" for the upcoming holiday! Some of our Team Members created treat kits, some card kits. Sit back and enjoy in "awe"
There are a total of 2 free files during this hop, with the others being DEEPLY discounted for TODAY ONLY! This cute love nugget slider box is new from SVG Cutting Files and is now in the store!! From Jaded Blossom I added some heart dies to the front and then used Wedding Candy Wraps, Panel Dies, Valentine Candies and Heart Splatters. Looks like I'm going to be busy this weekend. Such a cute box - adorable! I love slider boxes. This is really cute. I really like the LOVE cut out for the lid!! Adorable project. cute, Love the see though look with the LOVE word! fantastic job! Great treat box! Love it. OOH how pretty.. Love the polkadot heart. Omg these sites are amazing. I am a newby and lacking on ideas. This is really helpful. This is a great box! I love the paper you chose! 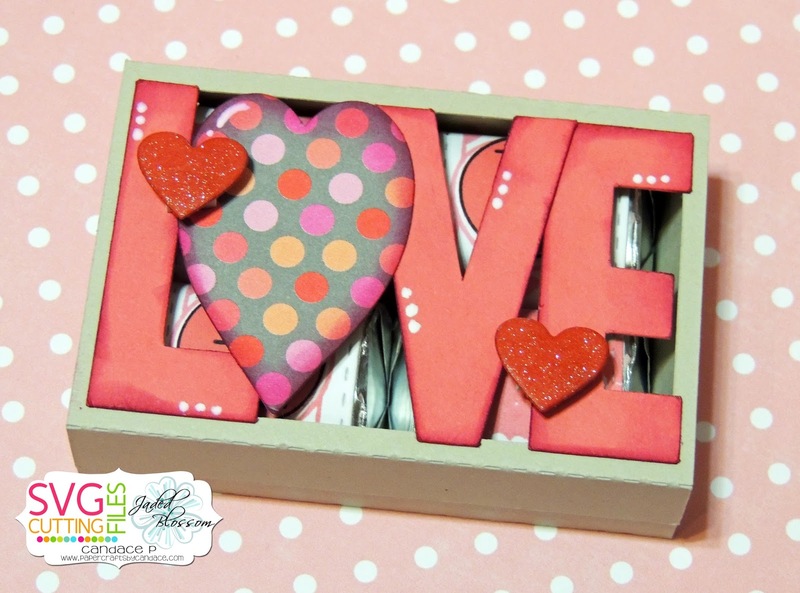 How can you not LOVE a LOVE slider box? .. This is adorable! Thank you! Love your treat box! So cute! Love, this box. My daughter would flip over this. This would make such a great gift box! Great slider box. Another cute idea for a classroom Valentine's exchange. Oh I L-O-V-E this box! So sweet! 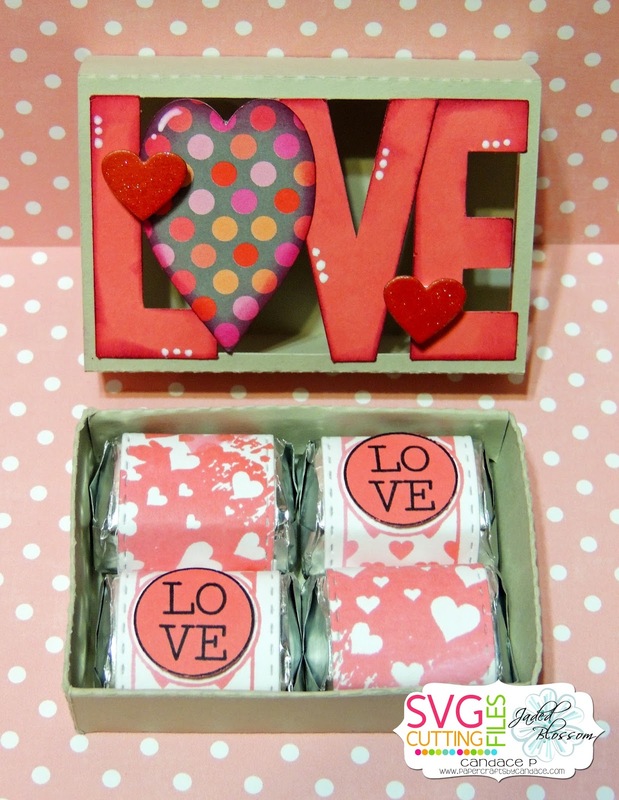 Love your LOVE box! It turned out soo cute!!! LOVE this! This would be fun at a bridal shower to! So fun! What a great little box! I LOVE LOVE this box!!!! This little slider box is really great. Perfect little treat box ~ LOVE!! Wish there were more hours in a day to create more. This is so perfect for my kids. These are super cute. I love the sentiments and papers. Candace...this is just a fun LOVE box! This is really unique. Nice job. So cute! Love it! Thanks for all of your hard work!